A few weeks back, I realized I was in need of a hobby. Not in general, as I have many hobbies. But something particular. 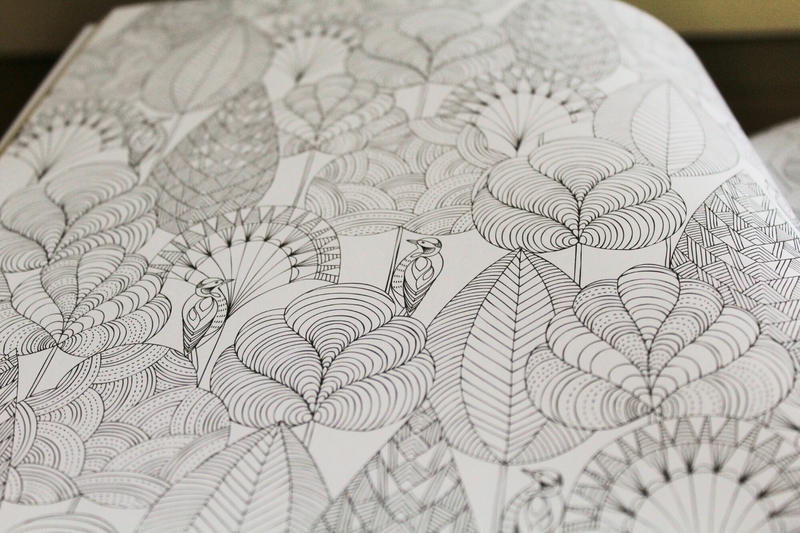 Something that was calming. Something that didn’t take a lot of work. Something I could easily pick up and put away at the drop of a hat, or at the cry of a baby. 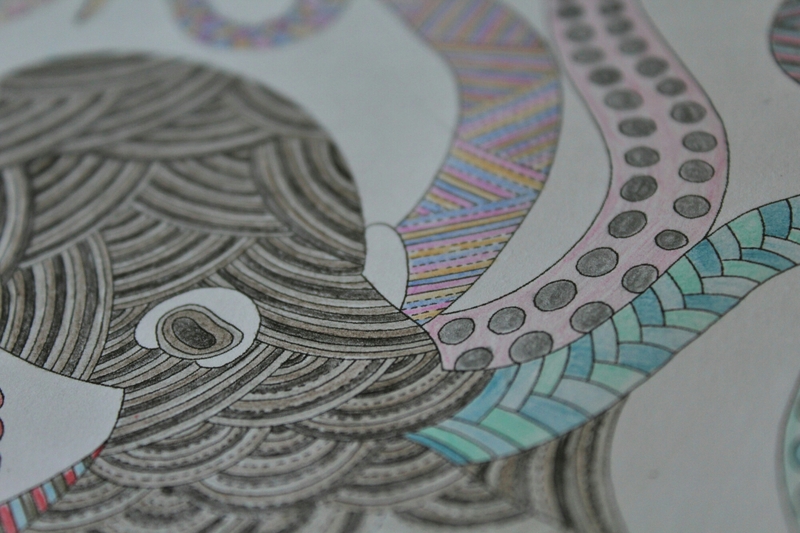 It struck me that maybe colouring could be The Thing. So I did some browsing. 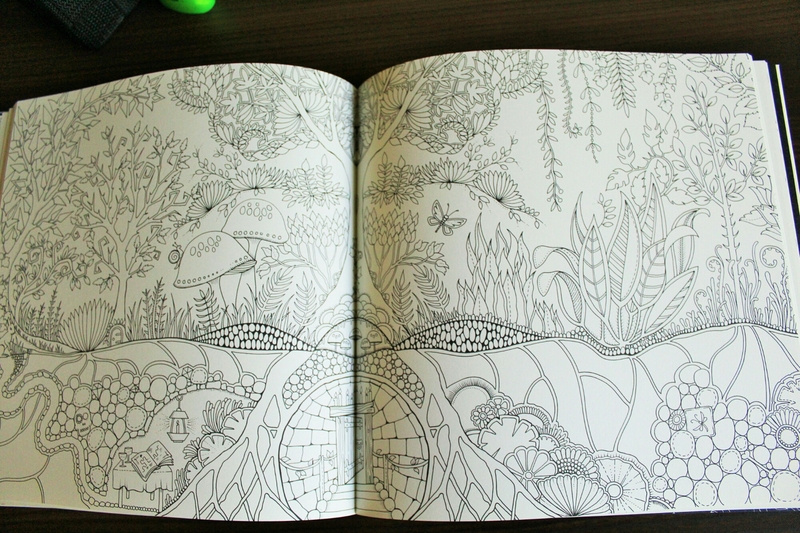 And I discovered the most magical colouring books I had ever seen in my life. 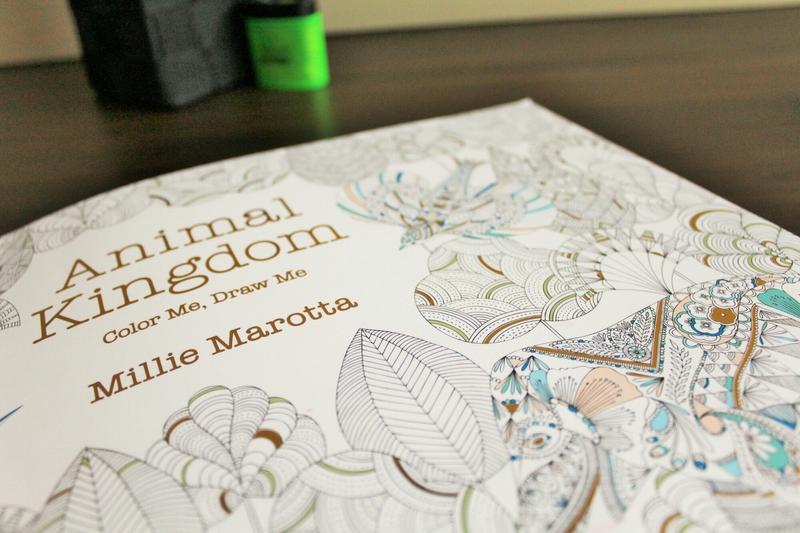 First came Animal Kingdom by Millie Marotta. 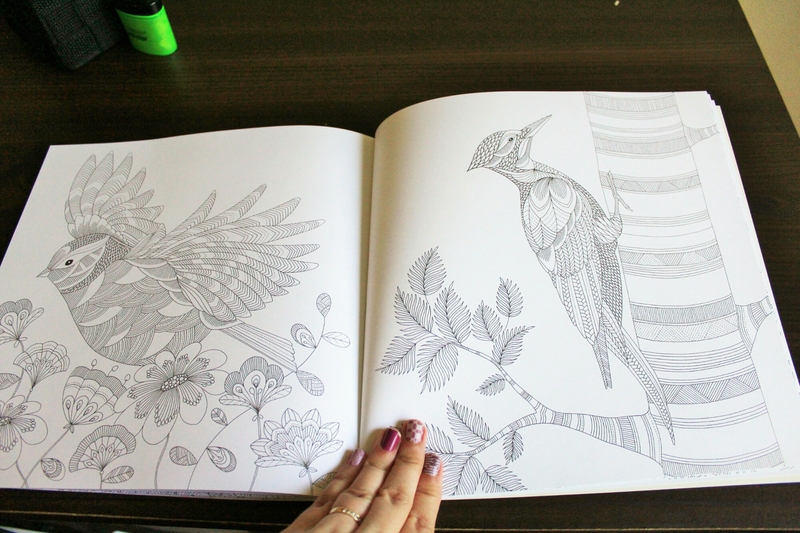 Her ability to design animals and flowers takes my breath away. I immediately sat down and got to work. 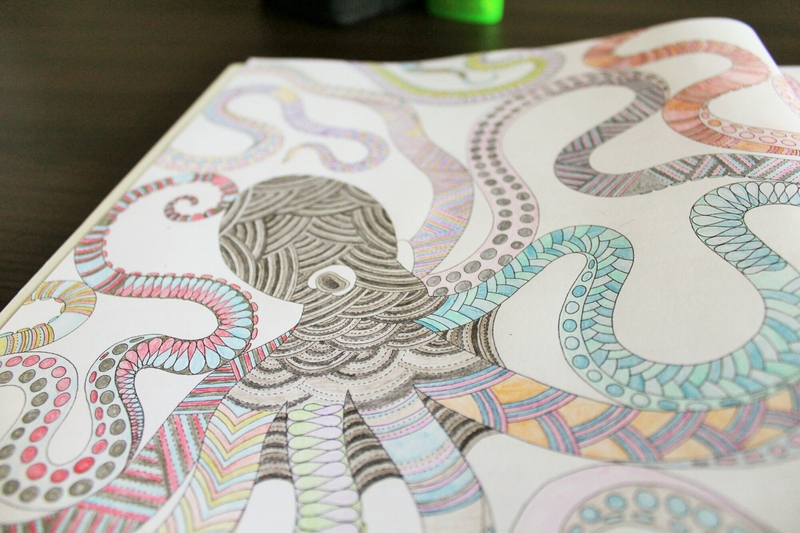 Over the course of 2 or so weeks, my squiggly octopus came to life. It had the desired effect. 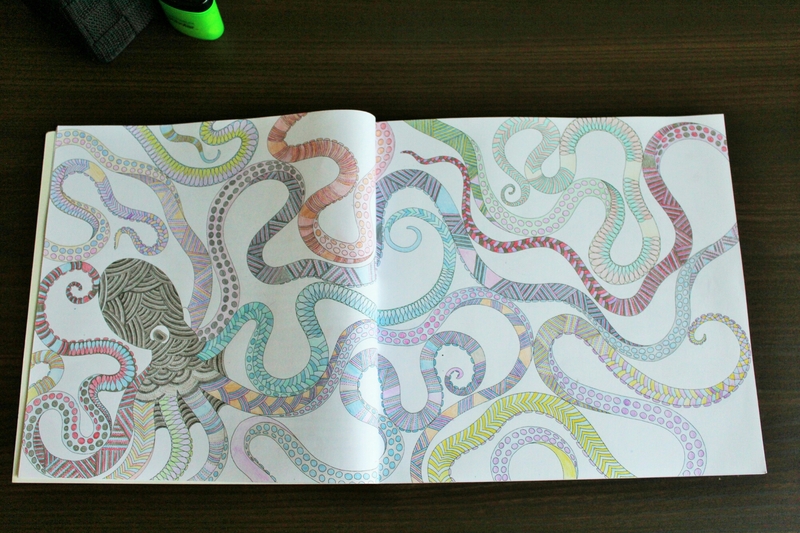 I was able to quickly pick it up for 5 minutes of colouring if I needed a break from the daily grind. 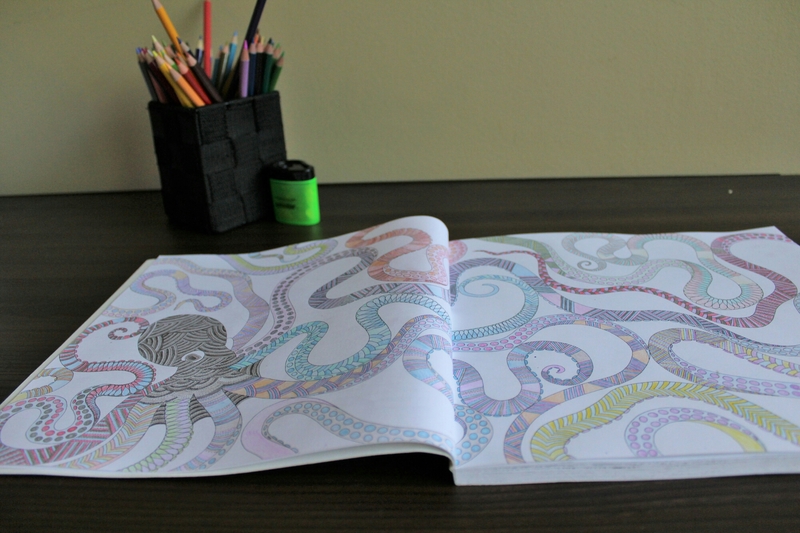 And putting it away was as simple as plopping my pencil crayons in my container and walking away. 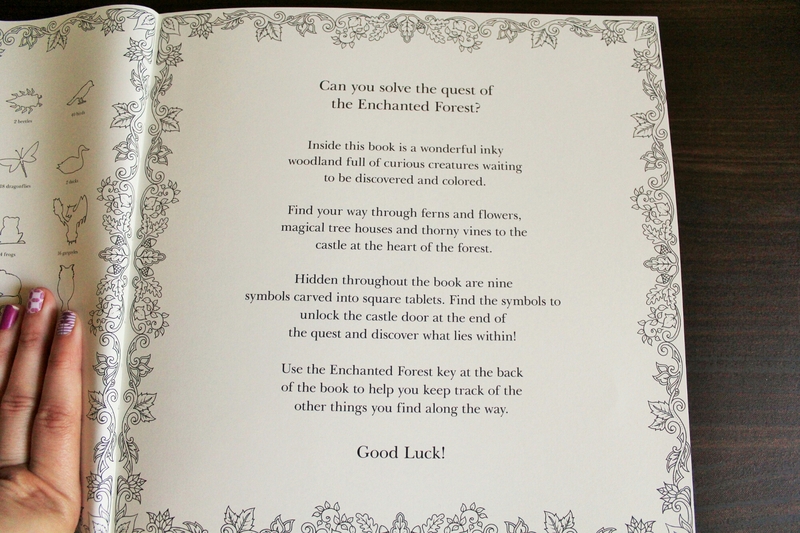 The other book I purchased was Enchanted Forest by Johanna Basford. 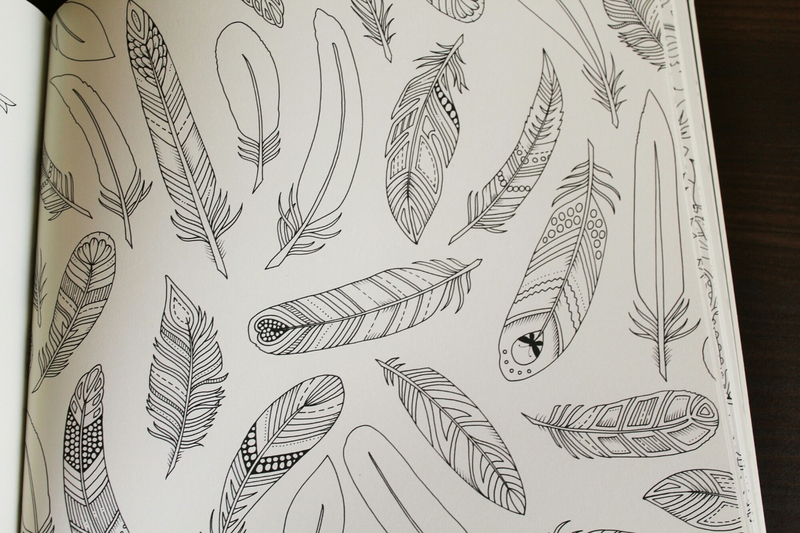 If you happen to find any of Johanna’s books in stock, consider yourself lucky. I had a very hard time locating this book and I’m not alone. This book differs in that it’s also a seek and find book. How fun is that! 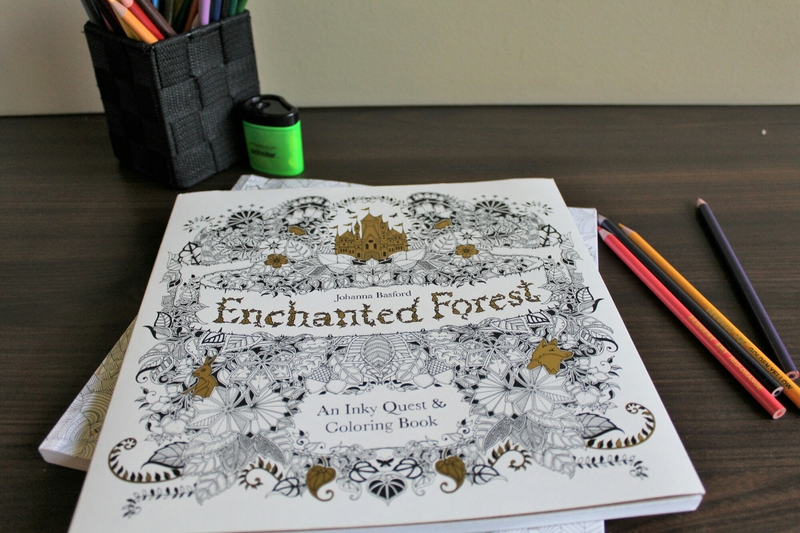 Sprawled on the pages of this book are magical scenes, castles, tree houses, and enchanted critters. This book is right up my alley. 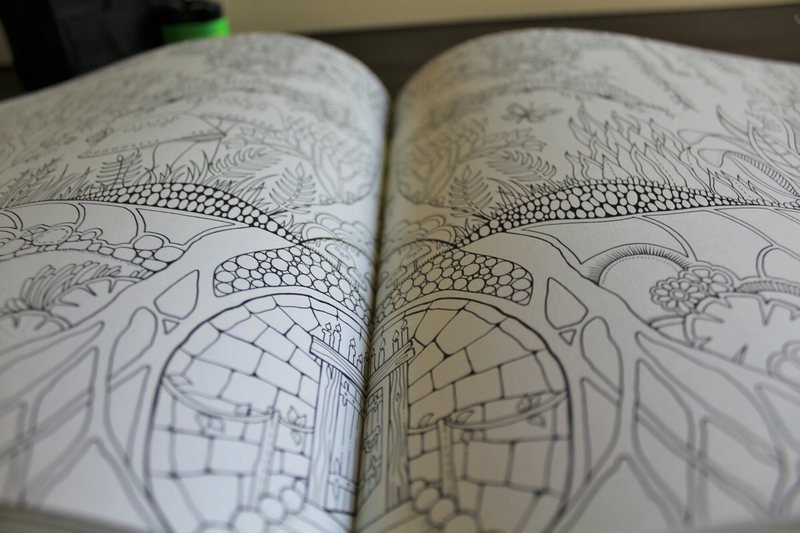 I hope you enjoy looking at the pages. As I continue through my books, I will check back in and post more pictures. Any other colourers out there? Share your favourite books in the comments! 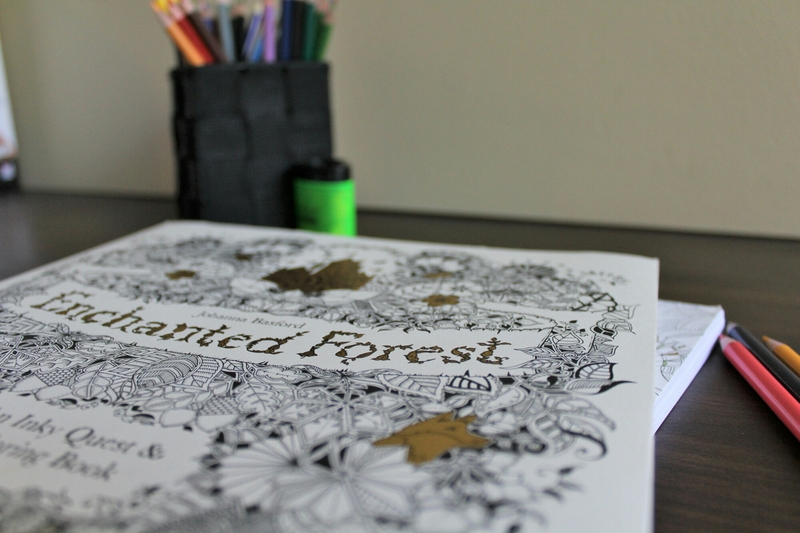 I just got my first “grown up” coloring book. I love it! It brings me calm and quiet.